Dress up napkins, tablecloths, or bed linens. 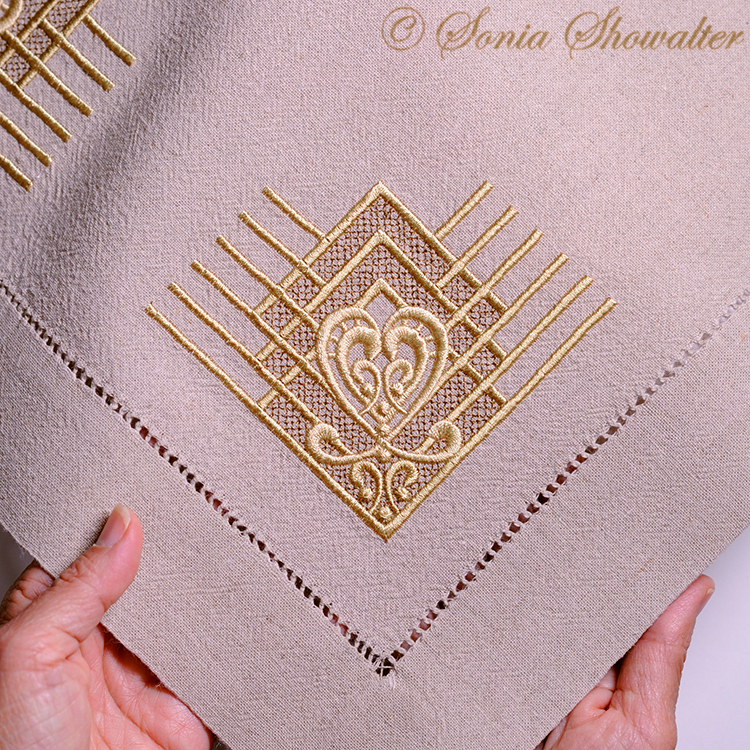 This design can be stitched four times into a large squared area. I've provided the placement line for the point so it makes it super easy to repeat! This design coordinates with the Basket of Elegance series of designs. The placement line stitches first making placement super simple & easy to repeat. The basting stitch is also included...just skip both of these if the project is hooped. 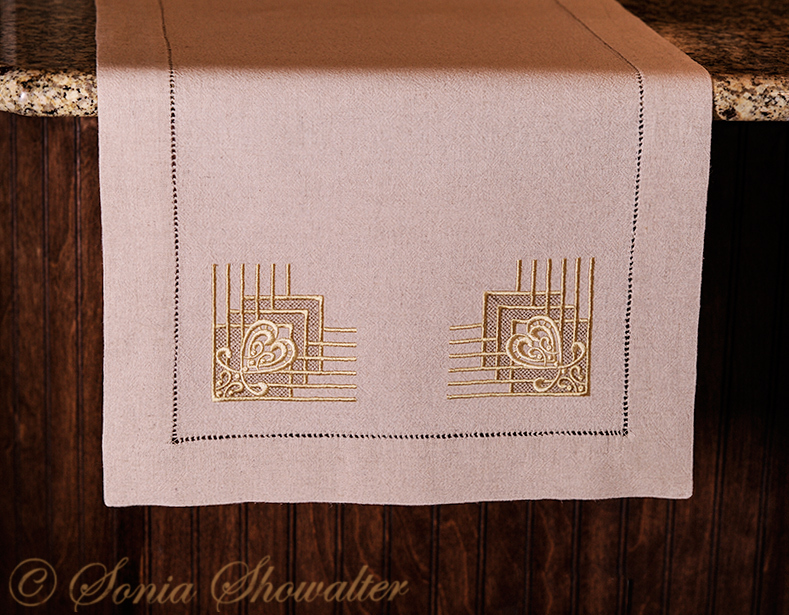 Shown on stitched on Oatmeal table linens from All About Blanks.